Our family-run holiday apartment in Zell am See is just the right place for you to spend your holiday! The unique location on the northern shore of the lake ensures that guests are perfectly situated to enjoy sports and activity as well as plenty of relaxation surrounded by nature. Take in beautiful views of Lake Zell and the unique mountain panorama of Zell am See-Kaprun, one of Europe’s top sports regions. Facilities: bedroom with double bed and single bed or bunk bed, living room with pull-out double sofa bed, kitchenette (refirgerator, electric cooker, coffee machine, dishes etc. ), bathroom with shower/WC/hairdryer, balcony (8 m²) with view of the lake, PlayStation 4 & games; WiFi and cable-TV are free of charge. Bed linen, towels and parking are included. We live behind the apartment house and willwelcome you personally by day and night! Our family-run holiday apartments in Zell am See are just the right place for you to spend your holiday! Their unique location on the northern shore of the lake ensures that guests are perfectly situated to enjoy sports and activity as well as plenty of relaxation surrounded by nature. Take in beautiful views of Lake Zell and the unique mountain panorama of Zell am See-Kaprun, one of Europe’s top sports regions. A perfect starting point for swimming, jogging and mountain biking • ideal starting point for exploring three ski resorts (Schmittenhöhe, Saalbach-Hinterglemm, glacier in Kaprun). Kitchenette (fridge, electric cooker, microwave, coffee machine, dishes etc.) in the living room. 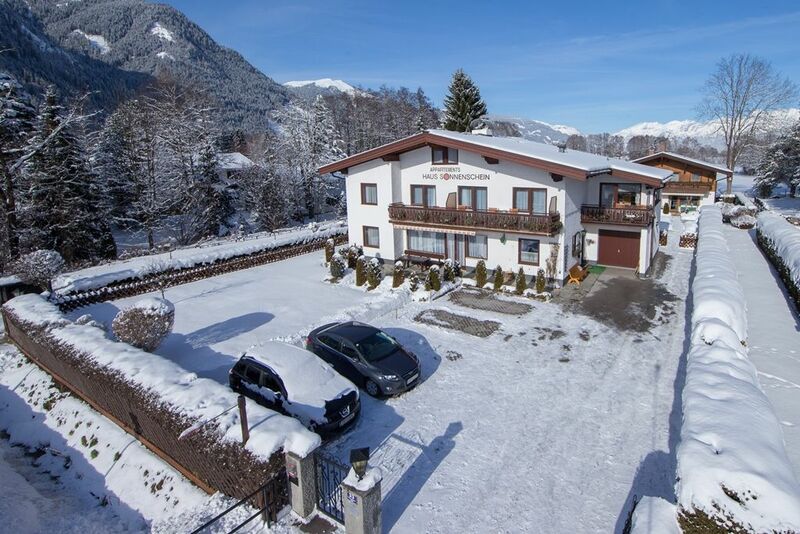 Winter: 100 m from the lake • an ideal starting point for exploring several ski resorts (Schmittenhöhe, glacier in Kaprun, Saalbach-Hinterglemm) • Cross-country skiing trails 10 minutes away • Ski bus stops directly in front of the apartments. Summer: Just 100 m from the lake • Located on lakeside trail and cycling path • Free sunbathing area with beach volleyball and kayaking centre by the lake • Located directly opposite campsite with restaurant and small shop • Bus stop directly in front of the apartments • across from lakeside bicycle and boat hire • Surfing and sailing school nearby • A perfect starting point for swimming, jogging and mountain biking.